I love new product launches that showcase the talent, drive and innovation from the Dell EMC server team. The new PowerEdge MX has been a particularly fascinating journey, and the story of how we arrived at the MX is quite interesting. Dell EMC has been shipping the PowerEdge M1000e for more than eight years. The PowerEdge M1000e, for those unaware, is a traditional blade-style modular infrastructure solution. The fact that it lived thru nine CPU upgrades is a testament to the foresight of the Dell EMC PowerEdge team. But, alas, the technologies that brought the M1000e to life and applications of the last decade brought us to a conclusion it was time for a new class of modular infrastructure. The world has shifted to software-defined, first and second-generation modular chassis were all optimized for SAN attached storage. CPU, storage and networking technologies have shifted in such a way that have required re-thinking. Infrastructure management and how it interacts with higher-level management and orchestration have become more critical than ever. Thus, the foundational ideas for MX were born—Flexible, Agile, and Responsive. We started down the journey with many ideas, after the launch of the PowerEdge FX2, which was a new take on rack servers by adding an element of flexibility in a 2U modular chassis. But as we learned, and branch predicted, a horizontal half-width style modular infrastructure would have serious limitations in the future. We concluded modular in a horizontal half-width displacement was short lived, and we had to go back to vertical. With that in mind, we departed from the PowerEdge FX2 horizontal 2U back toward a vertical orientation. But we also gained a huge advantage in being able to add enough local storage to pull off vSAN in a can. 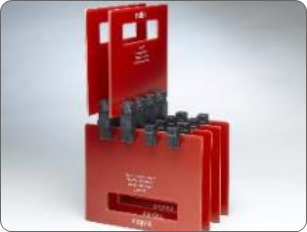 By getting to six drives per two socket node, plus internal boot drives, we could support any SDS erasure coding scheme from vSAN, ScaleIO, Spaces, CEPH, etc. This was a huge plus. But we still had a problem. The expected rise in CPU TDP, due to the competitive landscape, plus sheer adder of power, due to anticipated memory channel gains and NVMe drives, presented a challenge. We had to dig deep and come up with a new approach to modular infrastructure. What happened? 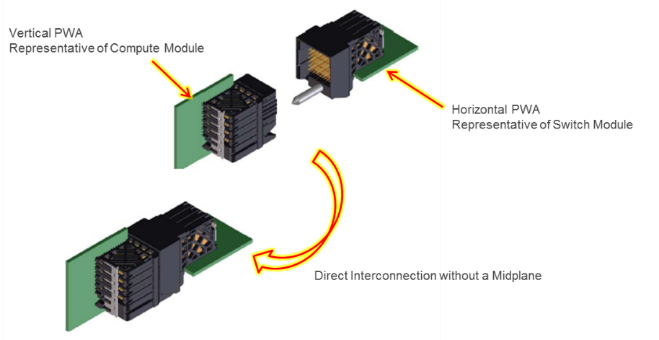 Dell EMC invented the first and only no-midplane modular system by creating a direct orthogonal connector. Now we had vertical compute sleds plugging directly into horizontal I/O modules in the rear. This alleviated any future worries about midplane bandwidth constraints. 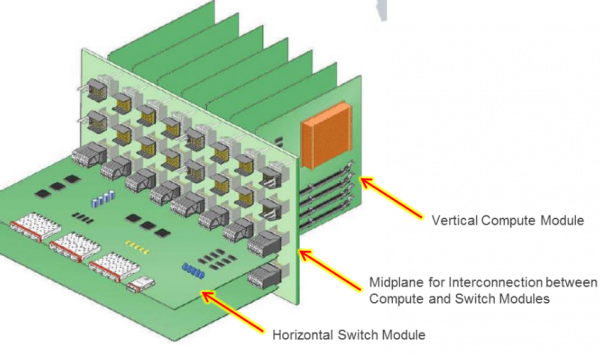 Figure 1 shows a typical modular infrastructure with a midplane. As you can see, a midplane style architecture leaves little room for airflow and you are locked into the capabilities of the midplane for life. The no-midplane design gave us a huge advantage in terms of airflow for these new high power CPUs/memories/NVMe. Plus, by removing the midplane, we didn’t have to worry about signal loss and future I/O speeds due to limitations of a midplane. It also removed a possible failure domain. With the new PowerEdge MX, you can actually put your arm all the way thru the chassis when empty (if you have really long arms). Try that on the competition. (Perhaps something we should consider for a Las Vegas magic show?) You can see a prototype below in Figure 2—do you see what’s missing? Yep, no midplane. Figure 3 is a detailed view of our new direct orthogonal connector. Now we have true flexibility and independence on the front compute/storage and rear I/O. We can start with Ethernet IOMs, we can add Gen-Z in the future or whatever new I/O widget comes out. Let’s just say, if the future is silicon photonics, you had better not have a midplane. From these anticipations and design enhancements, we now have a new style of modular infrastructure optimized for today and tomorrow. If you want traditional virtualization and shared storage, load up the PowerEdge MX with the MX740c compute sled and the MX9116n Fabric Switching Engine with native 25Gb Ethernet, or the MXG610s 32Gb Fibre channel switch and connect to attached shared storage. If you want HCI style virtualization with vSAN, load up the PowerEdge MX with disk-heavy compute sleds. If you need to increase local storage, then add a MX5016s storage sled and assign drives to compute sleds. If you have high in-memory compute needs, add the MX840c, a no compromise 48 DIMM 4-socket server. 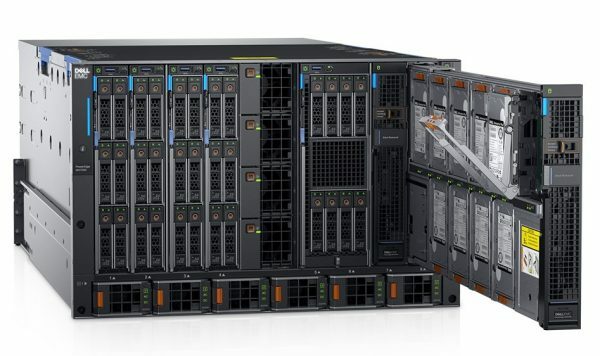 Due to the design foresight, the PowerEdge MX is a no-compromise platform equivalent to rack servers with a full complement of DIMMs and CPU TDPs. Many of our competitors have limitations around configurations; number of DIMMs, limited local drives, limited CPU stack due to power. PowerEdge MX is as composable as can be done given the technology available today. As we go forward with the PowerEdge MX, we are already working to complete the journey towards a fully composable kinetic architecture using next-generation fabrics like Gen-Z. We already have POCs in-flight, working with silicon partners across the industry toward this kinetic future using industry standards. Come join the journey with the new PowerEdge MX from Dell EMC. Learn more about PowerEdge MX and the full lineup of PowerEdge modular solutions at DellEMC.com/Servers.